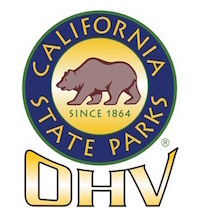 NOTICE IS HEREBY GIVEN that the Off-Highway Motor Vehicle Recreation (OHMVR) Commission, pursuant to authority contained in Section 5090.24 of the Public Resources Code and Section 11120 et seq. of the Government Code, will meet on November 16, 2017, according to the following schedule. Information on agenda items will be available for review at www.ohv.parks.ca.gov. If individuals are unable to obtain information through this source, please contact the OHMVR Division at (916) 324-4442. Referenced materials may undergo modification and will be available to the public as changes are made. At the conclusion of the meeting, we will have various electric bikes and motorcycles to examine. NOTICE IS GIVEN that any person may file a written statement on the proposed actions by writing to the undersigned or may present written statements at the meeting on November 16, 2017. Any person handing out written material to the OHMVR Commission shall also provide the Recording Secretary with an additional six (6) copies making a total of fourteen (14) copies. Members of the public presenting visual aids (projected media) as part of their public comments to the Commission are requested to submit the material(s) to the OHMVR Division five (5) days prior to the scheduled meeting. The Division reserves the right to decline to show photographs that violate personal privacy (photos without a release from the person/people shown in the photograph) or other valid reason in the opinion of the Division and its legal counsel. Inquiries may be directed to the OHMVR Division at 1725 23rd Street, Suite 200, Sacramento, California 95816 or (916) 324-4442.